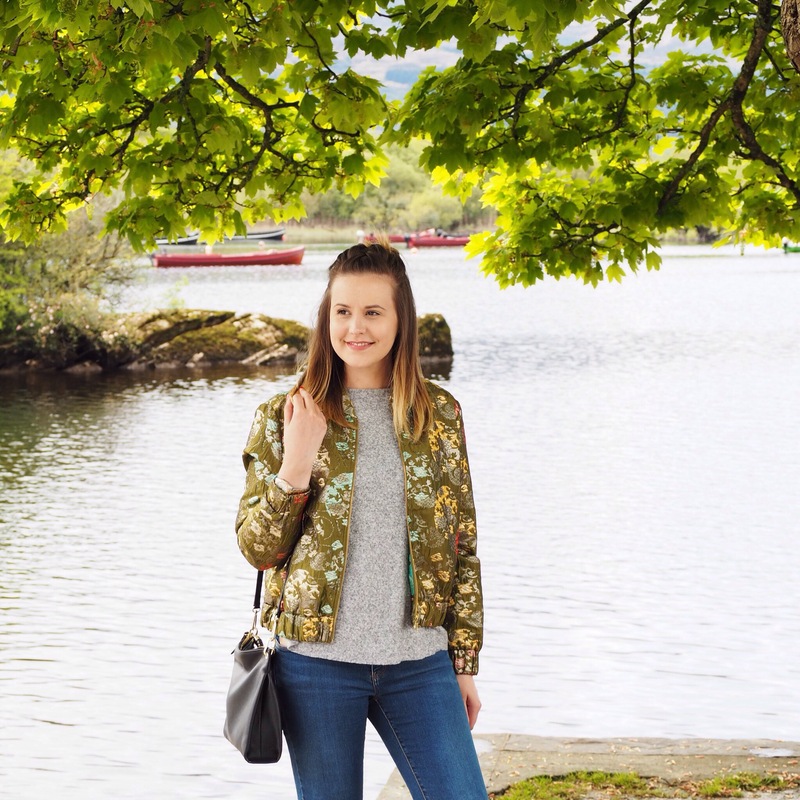 At the start of May I took a much needed trip down to my second home, County Kerry. 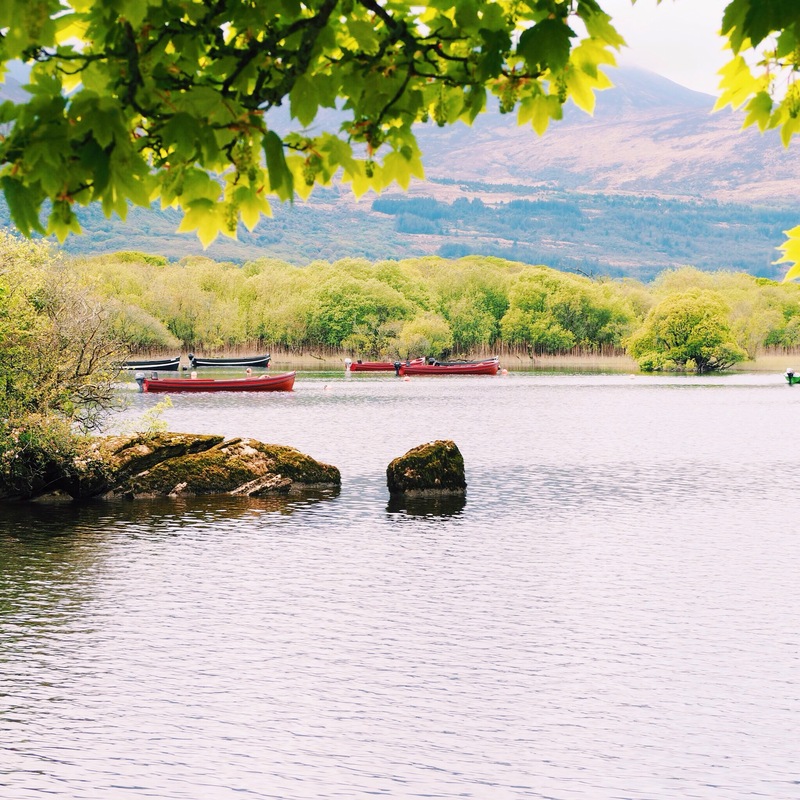 It’s without a doubt the most peaceful and picturesque part of Ireland to visit. I spent all of my summer holidays there as a child and now I have family living in The Kingdom. 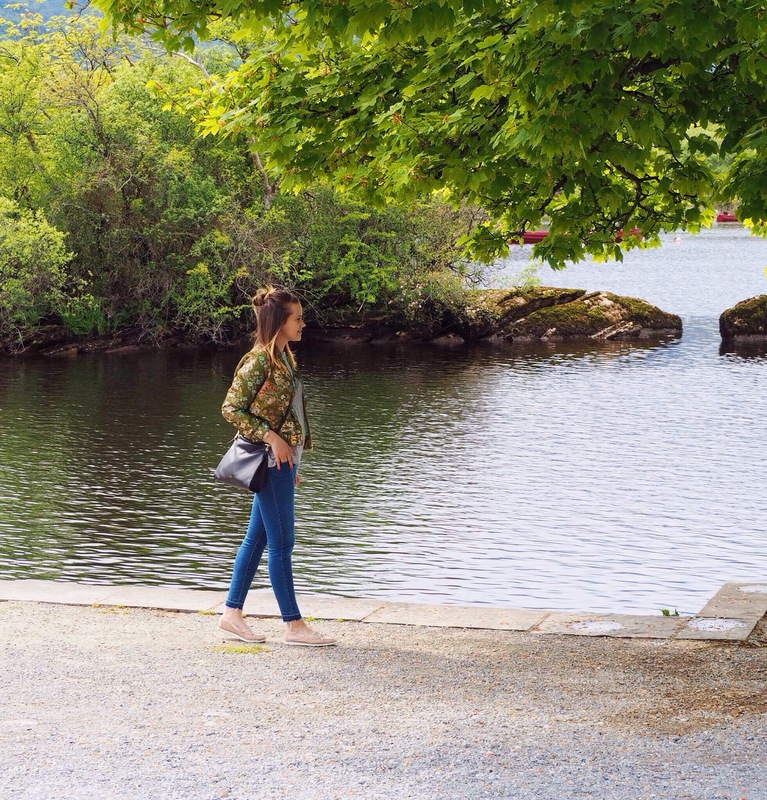 The weather was AMAZING and I made the most of it by revisiting my favourite spots around Killarney. 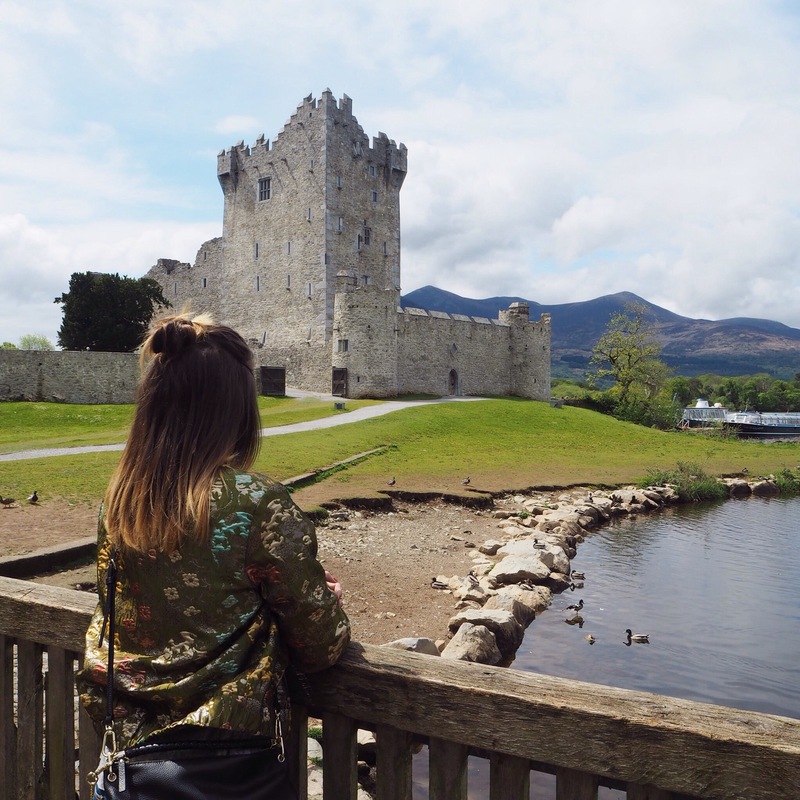 There are so many incredible sights to see and Ross Castle was top of my list. The sun was shinning but there was a refreshing cool breeze making my outfit choice simple. 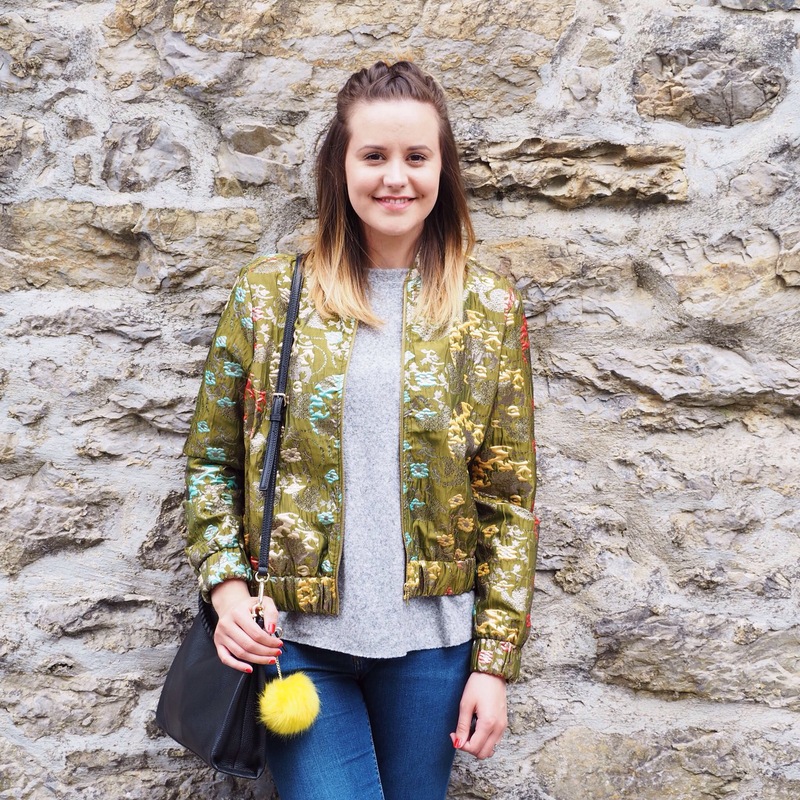 I have been OBSESSED with my Oriental inspired bomber jacket, I literally cannot stop wearing it. Not only are the exotic prints a majestic feature but the material is light yet keeps you warm at the same time. I love those kind of clothes and it always reminds me of Irish mummies when they say, “Make sure you bring a light jacket with you. That one cloud in the sky is looking angry”. The surroundings of the castle are so pretty, I’m always at my happiest when I’m around water. I find it to be extremely therapeutic and obviously it’s gorgeous to look at. I spent the afternoon there with my sister in law and my adorable nephew. The amount of ducks and swans were insane, aggressive little rascals when they haven’t been fed! I’ve been going through this constant trend of wearing my hair half up with a mini top knot and french braid. On a warm day I’m not a huge fan of the sweaty side fringe look! I’ve found that the past few months I have been sticking to a certain style and going back to basics. 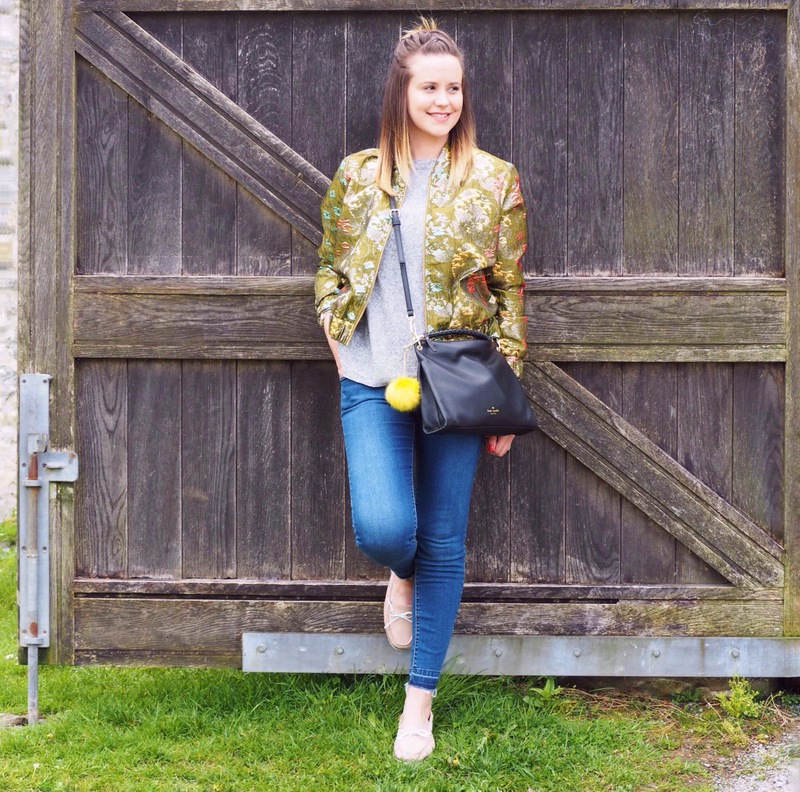 I adore mixing statement pieces with neutral tones to add a little variety to my look. These jeans have been my go to style along with the most comfortable boat shoes ever. They compliment any outfit and transforms it into a more chic and polished look. The weather here in Ireland has been unbelievable the past week. The sun has been out to play everyday and the temperature has been rising! I’ve been pretty busy this week, in fairness I usually am this time of year. I’m getting ready to finish work for the summer, plan a few spontaneous trips, spend more time blogging and squeezing in a foreign holiday. Not a bad way to spend the brighter months if you ask me! I’m sure you’re all sick and tired of seeing my Kate Spade baby but it’s the most practical and incredibly chic bag I’ve ever purchased. 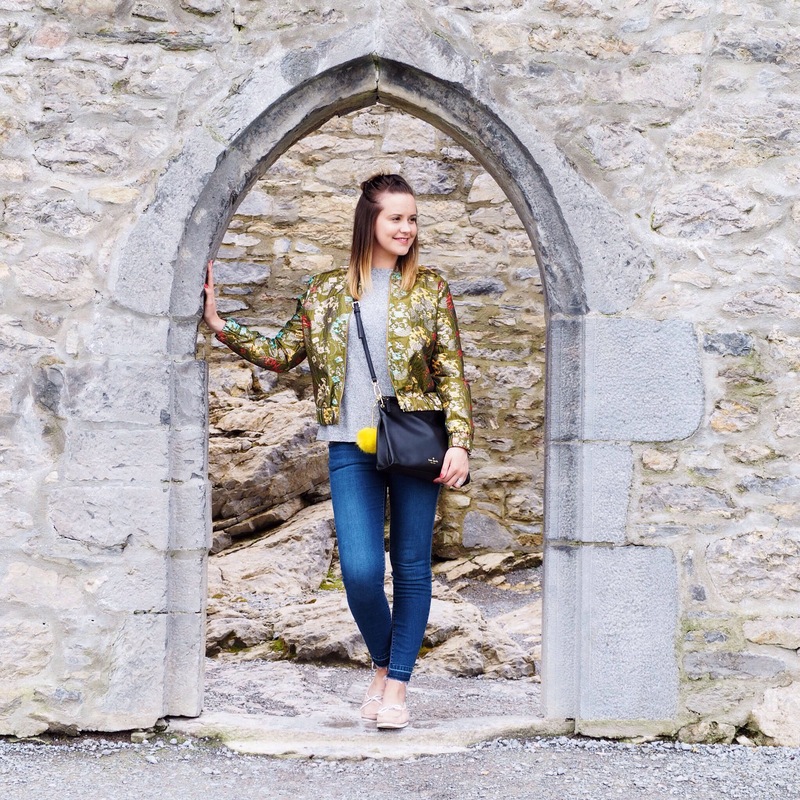 I bought it in Kildare Village an month or so ago and I’ve worn it everyday since. It’s the perfect size that fits everything and the style is timeless. When I found my neon pom pom they soon made the perfect pair. 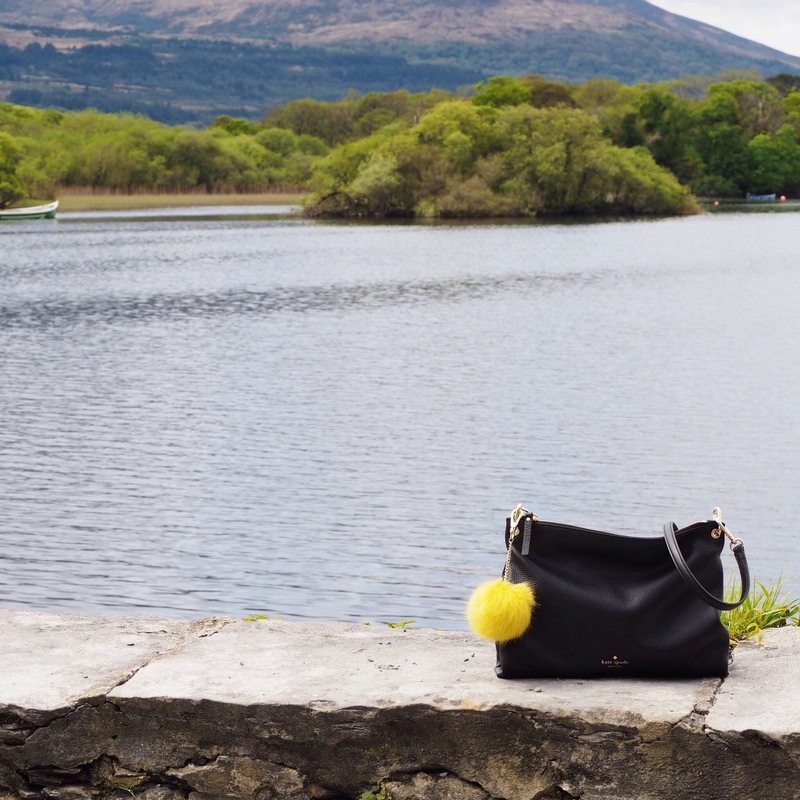 I’ve had my eye on the new summer collection from Kate Spade, a visit down to my favourite designer outlet is definitely needed! 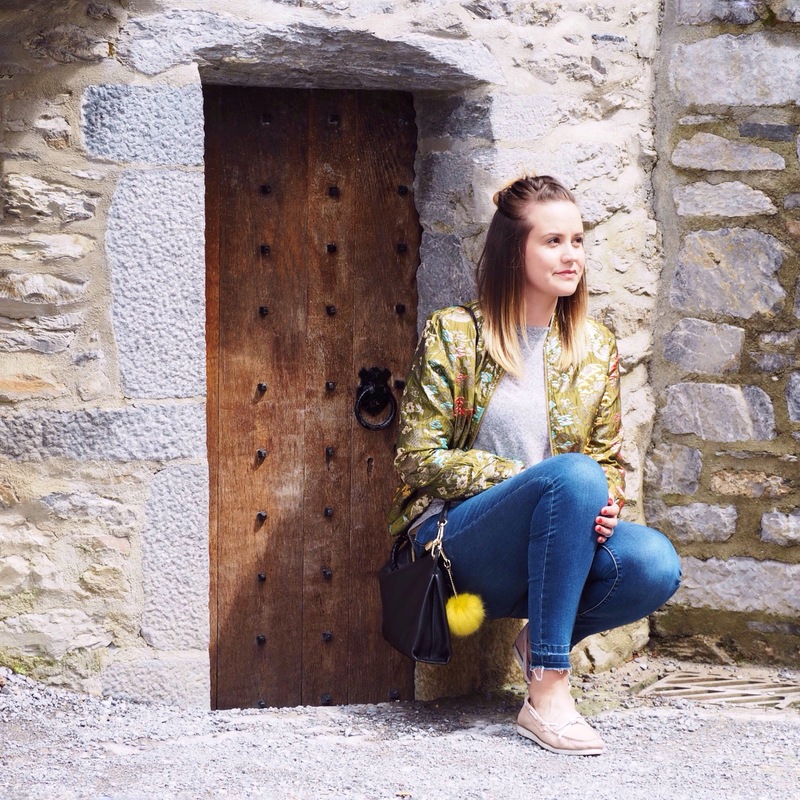 You’re probably all wondering why I’m kneeling down beside a tiny wooden door but it reminded me so much of Game of Thrones. It’s my FAVOURITE show and I’m addicted to it. Definitely worth watching if you’re new to the craze. Hope you’re all having a stylish week! Feel free to shop my look using the links below. 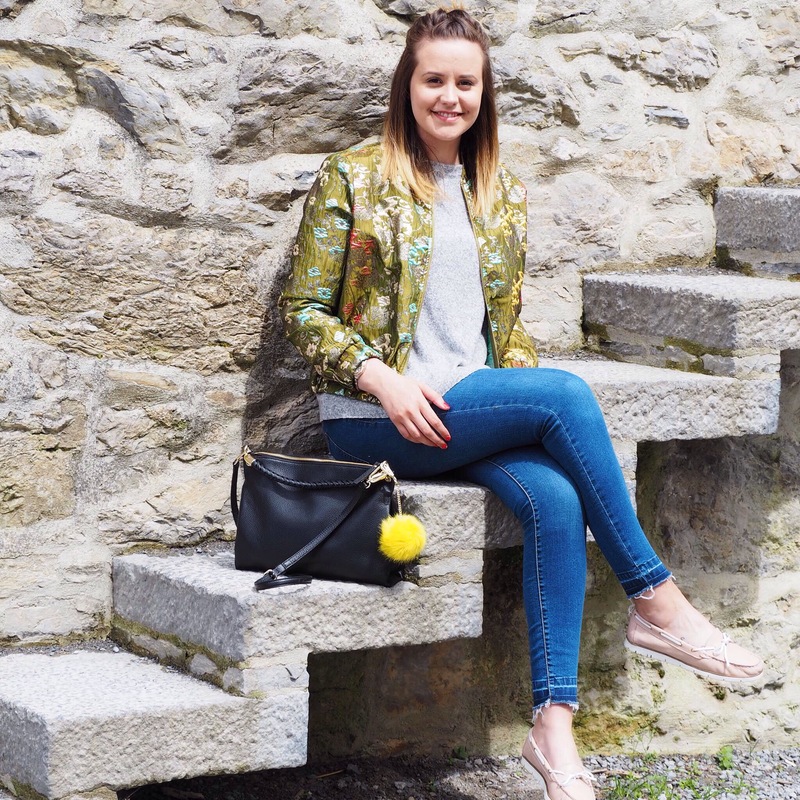 Shop the look: Marks and Spencer || Sweater: Zara || Jeans: Zara || Shoes: Schuh || Bag: Kate Spade || Pom Pom: Accessorize || Ring: Pandora .